Amazon’s Prime Day is here! Deals start on July 16, 2018 (3pm ET) and run through July 17, 2018. With 100,000 deals exclusively for Prime members, Prime Day is considered the biggest Amazon event ever, exceeding Black Friday records. Most importantly, you have the opportunity to help your neighbors in need as you shop online! You can help them by supporting Dollar Energy Fund through Amazon Smile. Sign up by visiting smile.amazon.com and select Dollar Energy Fund as your charity. Then, shop on Amazon through the smile.amazon.com link. Amazon Smile is a website operated by Amazon with the same products, prices, and shopping features as Amazon.com. 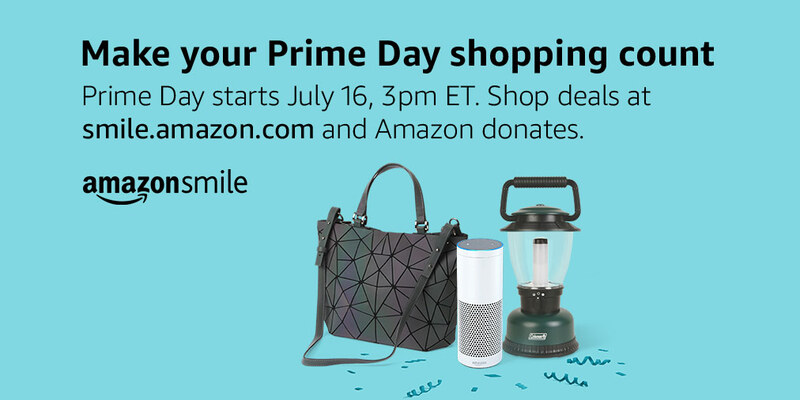 The difference is that when you shop on Amazon Smile, the Amazon Smile Foundation will donate a percentage of the purchase price of eligible products to the charitable organization of your choice. There is no additional cost to you! As always, all funds received by Dollar Energy Fund will be matched dollar for dollar by our partnering utility companies. This is a great way to support our Hardship Program and help the thousands of families who risk facing the rest of the year without basic utility service. Tell your friends and family to help us spread the word about Amazon Smile – and happy shopping!